A city in Spain is working with a university to create a database of dog DNA. This database could be used to match abandoned dog poo with the owner who violated standards of good dog ownership by not picking up the poo in the first place. Speaking of poo,could it save a cute kangaroo? The tree kangaroo is at risk of going extinct. They are particularly susceptible to the side effects of the drought, such as eating toxic plants to survive. Little is known about this creature (as opposed to the 'roos that hang on land), but scientists are testing hormone levels in poo to determine reproductive periods and help them increase their population for their captive-breeding program. One joey has hit the pouch so far. @DogSpies' Julie Hecht takes an in-depth look at the fascinating and disturbing dog-cloning industry and interviews John Woestendiek, author of the book Dogs Inc. Even if you've been tempted, you will think twice after reading this! Posted in Friday faves. Tags: cloning, DNA testing, dog owners, extinction, feces, pet cloning, tree kangaroos on August 21, 2015 by Mikel Delgado. Turns out it's a pretty complicated question to answer. We have heard a lot of talk about our microbiome and what kinds of bacteria live in our gut, helping us digest our food, but also aiding our immune system. 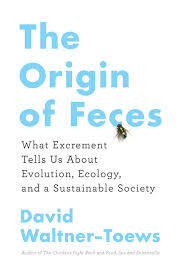 In this guest post in Scientific American, Tami Lieberman walks us through the process of getting your poop's microbiome analyzed - so many questions: where do you do this? how do you even sample feces? what do the results tell us? you will now know). Posted in Friday faves. Tags: biome, brood parisitism, counter-marking, cuckoos, fairy wrens, feces, gut bacteria, mice, microbiome, pheromones, poop, Tami Lieberman, urine, urine-marking on May 16, 2014 by Mikel Delgado.